The Republic of South Africa lies at the tip of the African continent with a population of about 53 million. South Africa has the largest rail network on the African continent at circa 20,000km. While only 25% is electrified, 3kv, 25kv and 50kv systems are used, the electrified network carries 80% of all traffic passenger or freight. The InterCity network (Shosholoza Meyl) has considerably reduced in scope because of long distances and air competition. Long distance trains that survive link Johannesburg and Pretoria with the coastal cities: Durban, Port Elizabeth, Cape Town just three or four times a week. On some routes these services are supplemented with luxury trains – some of these also carry cars. Passenger traffic remains vital to the life of the big cities. Sizable local commuter rail systems are to be found around for instance Johannesburg & Pretoria. Many thousands of workers pour into the cities from townships such as Soweto. There is one new high capacity line that links Johannesburg with Pretoria and the International Airport. The Gautrain is standard gauge. 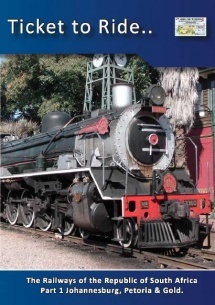 South African Railways, TRANSNET, is predominantly a freight railway. Despite using a narrow (Cape) gauge it is a world class heavy haul railway with modern traction hauling 20,000 ton trains. 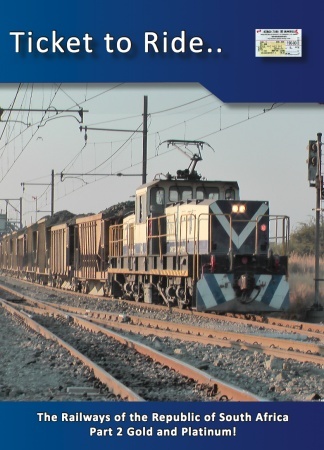 Container trains run from the ports to the inland cities in SA and Botswana. Also on the move are huge quantities of agricultural products, cement, timber and chemicals. Minerals: gold sand, platinum ore, nickel and so on move over both the state network and private railroads.